If you have ever visited a website that was slow to load, then you can attest first-hand to how frustrating that can be. And, suffice to say, your site visitors feel the exact same way when your WordPress website loads slow for them. The truth is, most site visitors are extremely unforgiving when it comes to websites that take more than 2 seconds to load. To add to that, 79% of consumers say that poor web performance is enough to cause them to never want to return to make another purchase! In fact, loading time is thought to be one of the biggest contributors to webpage abandonment. 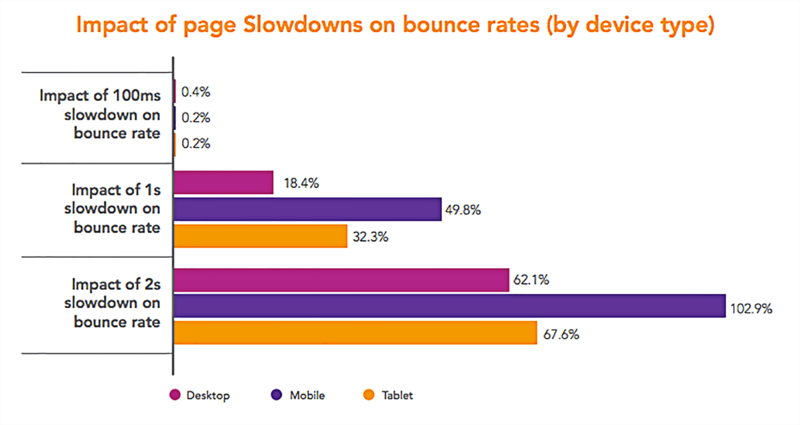 As seen in the image below, according to a recent State of the Online Retail Performance Report by Akamai, the quicker your website pages load, the longer your site visitors will stay on your website (and thus the lower your site’s bounce rate will be). Increasing website speed will help lower your site’s bounce rates and improve the user experience. If your website is performing at less than stellar speeds, these statistics should alarm you immediately. And if it doesn’t, keep reading. Today we are going to examine some of the most important reasons WordPress speed is so crucial to your success as a website owner. Google first made website speed an official ranking signal back in 2010, and it has only increased in importance since then. This means that a slow website speed has the potential to negatively influence your SEO and thus your search engine rankings. More specifically, this may lead to less organic traffic frequenting your website. Google breaks down the most important ranking signals, and site speed is included. It is important to note that Google has emphasized that while site speed is a ranking signal, that page relevance will still hold more weight than overall site speed. That said, Smartfurniture.com experienced a 20% jump in organic search traffic after optimizing their website for page speed. Improving their Google search rankings by an average of two positions, they also had a 14% increase in pageviews and a jump in overall sales. While site speed may not have an overwhelming effect on your search engine rankings, it is a Google ranking signal for a reason and you should take care to address slow website speeds. Time and again, studies have shown that site speed directly correlates to the success of online shops. This is because customers love fast page loading and response times. To start, AutoAnything revealed that after cutting their homepage load time in half, they experienced a 9% increase in conversion rates, an 11% increase in average ticket size, and a whopping 13% increase in overall sales. In addition, studies revealed that Edmunds shaved 7 seconds off their overall site load times and saw an impressive 17% increase in pageviews, as well as a 3% jump in ad revenue. In an attempt to improve user experience by speeding up their website loading times, Walmart was happy to announce that for every 1 second improvement in page loading speed, they saw a 2% increase in conversions. Lastly, Mozilla enjoyed 60 million more Firefox downloads after boosting their site loading times to be 2.2 seconds faster. That’s an impressive 15.4% increase, just for focusing on website speed. There are plenty of case studies showing you how making minor tweaks to your overall page speeds, you can reduce bounce rates, boost conversions, and generate more revenue. There is also compelling evidence showing you the negative impact slow page speeds can have on your eCommerce success, as seen below. Even something as small as a 2-second delay can affect your success. To show you just how much slow website speeds can affect your success as an eCommerce shop owner, the talented team at Skilled put together 12 real-life case studies and revealed that even a 2-second delay in site speed can harm your overall revenue, click through rates, and number of queries. User experience, in general, is important for all websites. And, slow websites definitely affect desktop users. However, with mobile device use on the rise, and 61% of mobile device users stating they are unlikely to return to a mobile site they had trouble accessing, it is more important than ever to secure fast mobile page loading speeds. While mobile sites typically have slower connections, their users do not expect anything less from you. In fact, mobile users expect your website to load just as quickly as it would on a desktop or tablet! The amount of money being spent on digital ads is not expected to slow anytime soon. According to eMarketer.com, by 2019, it is expected that mobile advertising will account for 72% of all US digital ad spending. With this ad spending comes mobile traffic referrals from those ads. If you are spending a large portion of your marketing budget on mobile advertising, increasing page speed should be a priority. Having customers bounce before making a purchase thus detracts from your goal of increasing conversions or finalizing sales. After all, you wouldn’t spend a lot of money marketing your brick-and-mortar store, only to have the doors locked as interested customers come to check it out. The same concept applies here. Do not waste money on online advertising, only to have such slow website speeds that your prospective customers leave before seeing what you have to offer. There are several reasons why you should focus on website speed – no matter which type of website you operate. 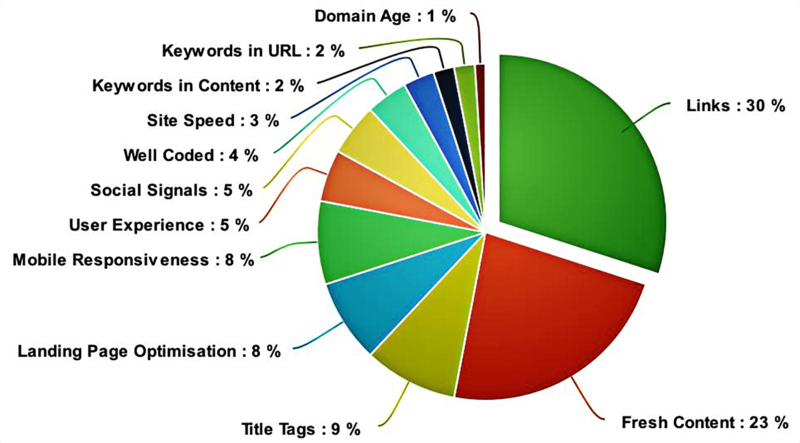 It is important you cater to what your site visitors want. What they want is a seamless user experience, fast page loading, and the ability to engage with your site’s content with ease. Take the time to optimize your WordPress website; use suggestions from the online speed test tools and watch your site traffic, conversions, and sales boom. Simply input your website’s URL and each tool will analyze a variety of factors such as page speed, image download bottlenecks, HTML/JS/CSS hangups, geographical locations that are slow, HTTP header speeds, minification of your scripts, CDN performance, browser rendering speeds, page sizes, and even number of total requests before your content is served up to site visitors. With this information, you will be able to pinpoint the exact things that are holding your website back from performing at its best. In addition, if you are looking for extra ways to boost your website speed, check out AmDee’s Maintenance Package. In addition to providing essential services such as website backups, security monitoring, and live support, this package helps optimize your website so it performs at its best all the time. We will optimize your database and images so your site’s content loads blazing fast for site visitors. In addition, we will manage all core, plugin, and theme updates so you never experience slowdowns because of outdated software. If this sounds like something you want to take advantage of today, get in touch and see how we can help you increase your WordPress website speed and improve your website’s user experience for everyone that visits. Are You Overextending Your Social Media Presence (by trying to keep up with all of the hype)?